Our pets are family – we will do anything to make them happy. My rescue kitty, Bella, had all of the squeaky toys and fluffy cat beds imaginable, but, at the end of the day, the only thing that she seemed to care about was the Amazon Prime box on my living room floor. It’s not a surprise that our feline friends have a curious addiction to boxes. It makes them feel safe, provides comfort, helps deal with stress, and is a perfect place for playing, hiding, of course, napping! That gave me an idea – why not create fun boxes, designed specifically for cats, that would give my princess exactly what she wants, while, at the same time, keeping my living room looking neat and clean? Kitty Cardboard was born! 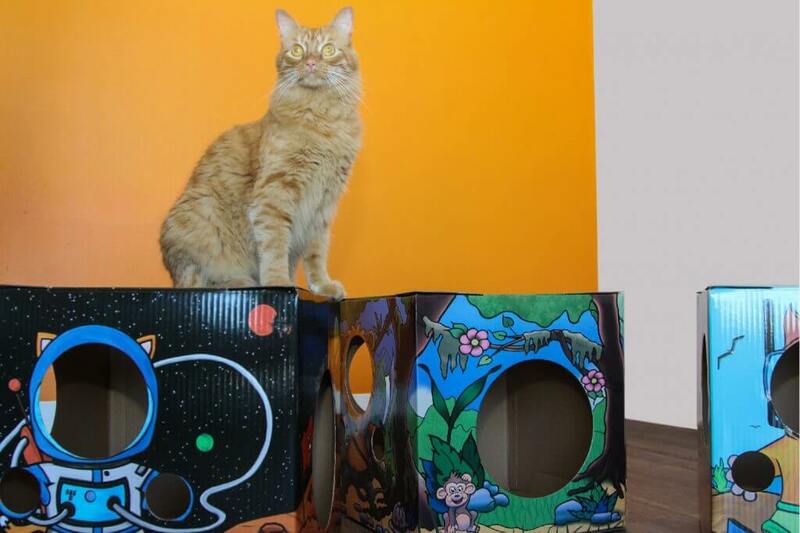 By adding just a little bit of a style and color to a simple cardboard box, we’ve created this purr-fect interactive box of joy that fulfills all of your cats’ needs, while helping them to stay healthy and active, and complimenting your household interior. New, colorful designs will be released frequently, and are a fun way to let your kitty celebrate the seasons, or travel the world (or meow-ter space). Isn’t this every cat’s dream? 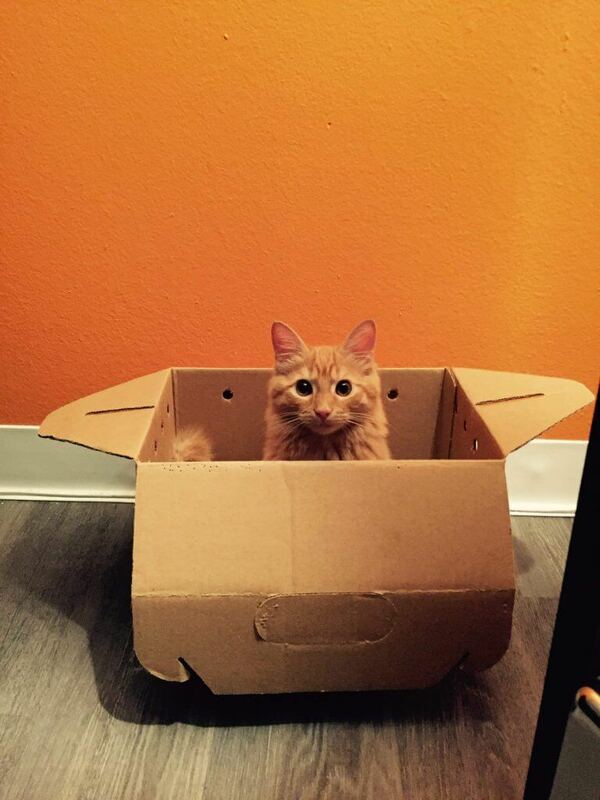 A fancy feline box delivered to your doorstep! It’s a gift that keeps on giving! We all know that cats are born royal, and with Kitty Cardboard, they will feel that way!